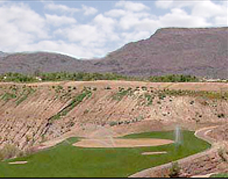 Golf Irrigation Consultants has worked in every facet of golf course construction, design, and maintenance. Our background and experience helps us to create quality irrigation designs that are customized to every site, and tailored to every budget. We always choose the best irrigation parts, design with proven field techniques and always make sure that the system can be easily managed. Our designs include written specifications and detailed construction drawings for each project. We can also provide estimates and quantities to help establish cost estimates and budgets. The Golf Irrigation Consultants team manages all aspects of the design process including: hydraulics, system requirements & limitations, wiring circuits, pump house design, and all related irrigation components. We listen to your goals and create a plan to meet your budget and save both, water and energy. Golf Course Irrigation Consultants are hands on and will conduct multiple site visits to get a full scope of your unique needs and requirements. At the end of the design process, you will have all the information needed for it to go to the second phase of the process, which is Bidding & Specification documents. Before sending the new system out for bid, the bid documents must be precise in order for contractors to properly bid on the job. Golf Course Irrigation Consultants will provide you with detailed information including irrigation maps, hydraulic layout, electrical plans and all system requirements. We are a turnkey operation, meaning we will provide you with complete plans without the need to rely upon multiple vendors. We do not use interns and all of our work is done completely in-house. We take into account your custom system requirements and obviously, your budget. Our goal is to work with you and design a system which meets both your needs and your budget. If you are looking for a high end Cadillac, then we will design it accordingly; yet, if your budget is more geared towards the design of a Mini-Van, then that is fine also. Our aim is to work with you and stay within your budgeting parameters so that the project may be approriately funded and completed on time. Golf Irrigation Consultants offers bidding services which will cover contractor pre-qualification, pre-bid / construction, negotiations, and bid comparisons. We make sure that your project runs on time and within the budget. From the first day of construction until the last we provide quality control inspections and follow those up with detailed reports. When the contractor is gone, we ensure system maintenance will be understood since we work with the staff and train them on all system components, including the central computer. We have been known to jump into the trenches to train personnel the proper ways of repairing and maintaining your irrigation system.